Use TB2YA22 to reference this item. To travel from cache to cache warning everyone to look out for bikes and motorcycles. This was once a real travelling geocoin. It travelled 3180 miles all the way to Nevada. Alas, it went missing after a short lived life of a couple months. In memorium, this travelling half-craps is being sent out with Todie's Wild Ride tracking number. This allows me to reuse the number in order to help spread the word of caution.... and to give everybody a chance to move another trackable. For those that do not wish to move a copy, please leave the trackable in the cache for somebody else to move. On August 12, 2008, Tod Phillips was riding a motorcycle when he was killed in an accident caused by a left turning vehicle. Tod was the third member of Team Rod & Tod w/KAboom. This coin is released in his memory. The coin is part of the Bike Awareness project, started by Rockin Roddy. You can read more about this project on the Groundspeak forums. 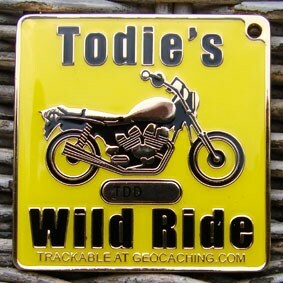 (Forum; Geocoins; Topic; Todie's Wild Ride). -------------------------------------------------------------------------------------------------------------------------------------------------------------------------- Inattention, inexperience, fatigue, drugs, alcohol, insufficient maintenance, bad weather conditions, speeding and illegal manoeuvres are given reasons for causing accidents. YOU have the power to do something to control each of these factors. Give a good example while riding/driving your self. Practice what you have learned in your driving lessons and from your experience. Ride/drive save and in a defensive, anticipating style. Check your mirrors and watch for the more vulnerable travic participants. Start a discussion and make people aware they can help save lives. Imagine what the effect of spreading this message can be. Being a rider myself I will gladly move this one along to help spread the word. Sorry to have read about the death of your friend. This is an awesome way to remind those none riders to watch out for us out there on the road. God Bless and keep the rubber on the road! 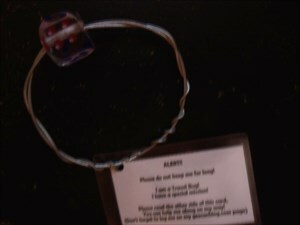 Resurrecting this trackable because it has been missing for over 1 year. Note that this is now a copy featuring a die (singular of dice)... to commemorate the original trip to Nevada. 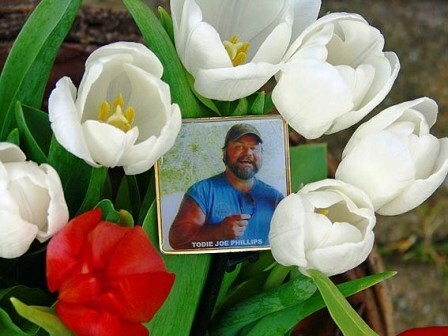 We were sorry to hear of the reason for creating this geocoin and our condolences go out to Tod's family and friends. A similar fate befell North San Diego County geocacaher Jerry "BikeDog" Gradisher, who lost his life in a motorcycle accident in January 2006 (http://www.geocaching.com/track/details.aspx?id=376691). Thanks for the reminders that our slightest inattention can have catastrophic consequences on a very human level.